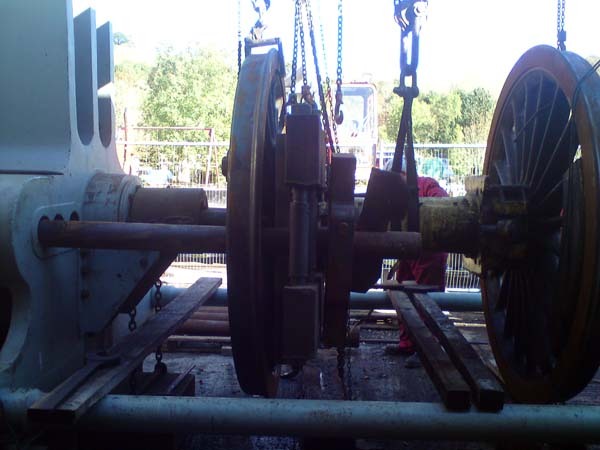 SOUTH DEVON RAILWAY Engineering press apart wheelset. 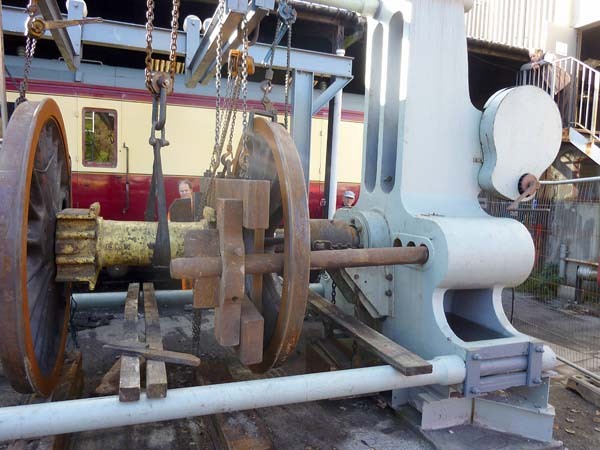 South Devon Railway used its recently refurbished and commissioned wheel press to dismantle one of the driving wheelsets from a BR Standard Class 5 Locomotive. 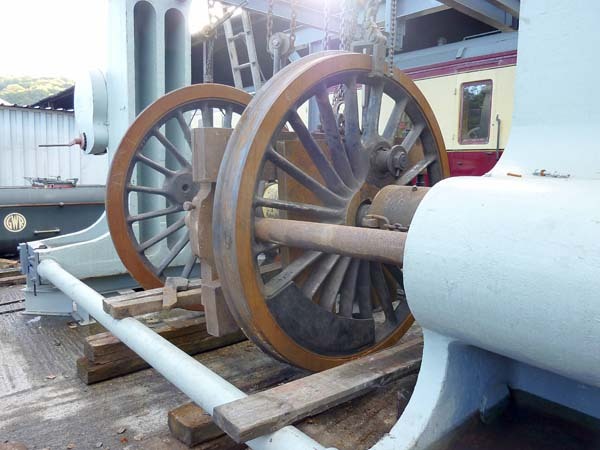 The wheelset's have come to the South Devon Railway Engineering for new tyres and attention to the wheel bearings. 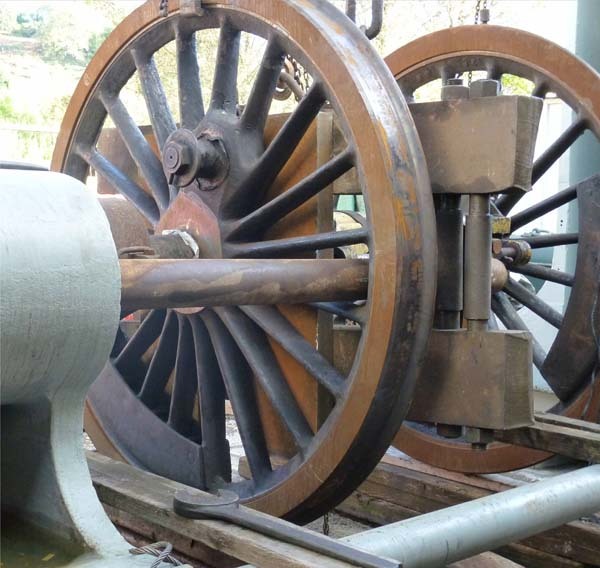 The wheel bearings are Timken taper roller bearings in a "cannon" tube which encloses the axle. One of the problems with the design is that the axle has to be pressed off the the wheel in order to change the bearings. Later versions of the class had split bearings for ease of maintenance. 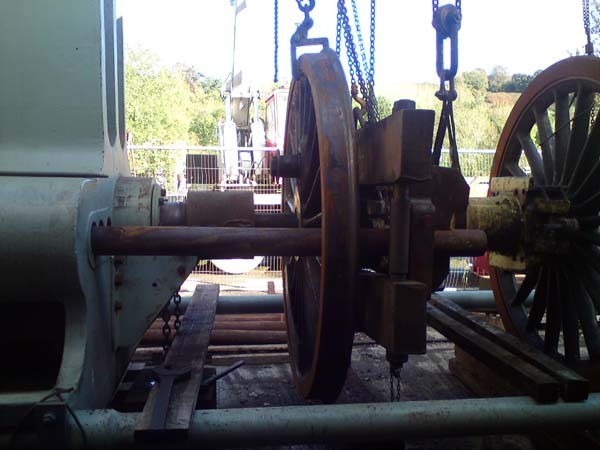 Now the wheelset has been dismantled the bearings and cannon tube can be examined and assessed so the necessary repairs can be effected. 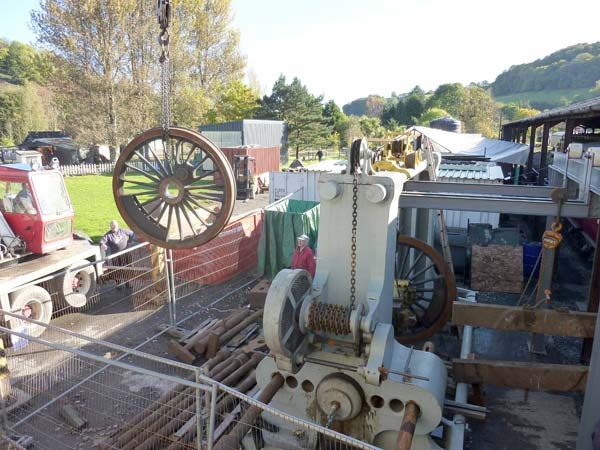 The press exerted a pressure in the order of 350 tons to get the wheel off. 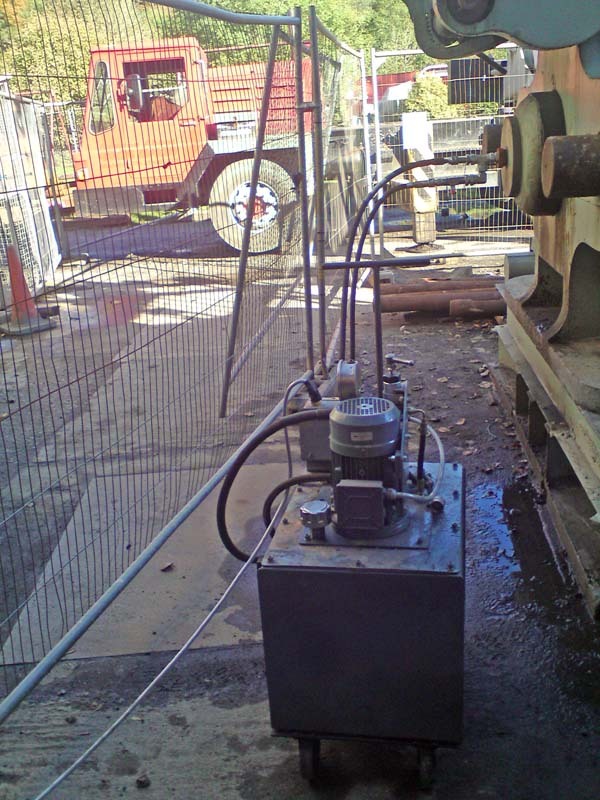 It won't take this force to re-assemble because of the lubrication used in assembly.